One of the most historic and identifiable landmarks on the beautiful Garden Isle of Kauai – Kilauea Lighthouse – has received an early present for the holidays as a winner of Hampton Hotel’s Save-A-Landmark contest for 2011. Kilauea Lighthouse is one of five landmarks nationwide and the only one in Hawaii to win the annual contest conducted by Hampton Hotels that invited people to vote for a favorite landmark and earn a monetary gift from Hampton for its preservation in 2011. Votes were cast online at http://www.hamptonlandmarks.com from October 25 to November 30, 2010. Built in 1913 with the purpose of serving as a beacon for ships traveling between Hawaii and the Orient, Kilauea Lighthouse is one of Kauai’s most recognized and popular historical attractions. 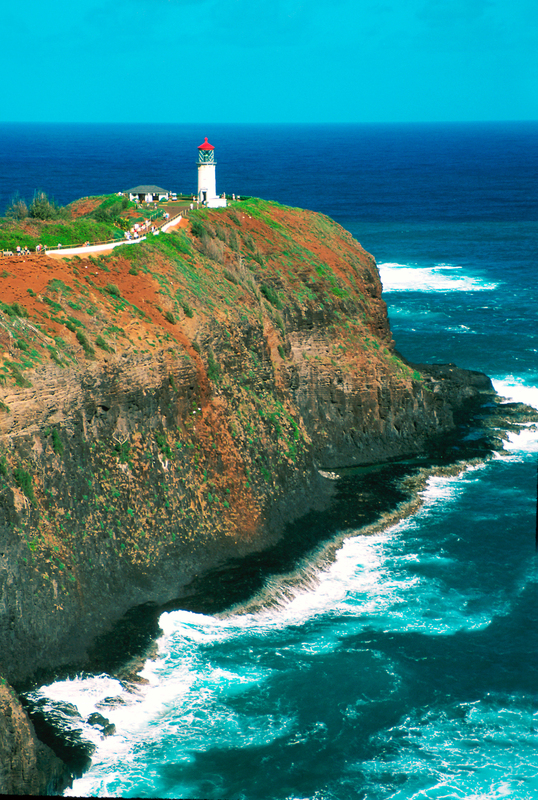 The lighthouse stands majestically at Kauai’s northernmost location at Kilauea Point and is visited by more than 500,000 people annually. Adding to the appeal of visiting Kilauea Lighthouse is seeing the many seabirds that have made the ocean cliffs and grassy slopes of Kilauea Point their habitat, including Laysan albatrosses, wedge-tailed shearwaters, and red-footed boobies. The Kilauea Point National Wildlife Refuge was established in 1985 to protect these valuable breeding grounds. Jane Hoffman, executive director of the Kilauea Point Natural History Association, said the support from Hampton Hotels comes at a perfect time, as Kilauea Lighthouse is undergoing restoration work that began in summer to preserve it for future generations. The association’s target completion date is May 4, 2013, the 100th anniversary of Kilauea Lighthouse, and, to date, $870,000 has been raised towards the $1 million goal. Established in 2000, Hampton Hotels’ Save-A-Landmark program has contributed more than $2.5 million and thousands of hours toward the research and preservation of roadside landmarks. Since the program’s launch, Hampton Hotels has helped preserve 55 historical landmarks in the United States, Canada, and Mexico. In 2006, Hampton Hotels was honored with the Preserve America Presidential Award for its Save-A-Landmark program, making it the first hotel chain ever recognized by a U.S. president for its preservation efforts. The Kauai Visitors Bureau is a division of the Hawaii Visitors and Convention Bureau, which is contracted by the Hawaii Tourism Authority (HTA), the State of Hawaii’s tourism agency, for marketing management services in North America. The HTA was established in 1998 to ensure a successful visitor industry well into the future. Its mission is to strategically manage Hawaii tourism in a sustainable manner consistent with the state of Hawaii’s economic goals, cultural values, preservation of natural resources, community desires, and visitor industry needs. For more information about Kauai – Hawaii’s Island of Discovery – please visit http://www.kauaidiscovery.com or call the Kauai Visitors Bureau toll-free at (800) 262-1400. Follow Kauai via Twitter (@kauaidiscovery) and as a fan on Facebook (Kauai Visitors Bureau).